Darlene Nemeth: Can People Change? People can change. Even a negative person can change. If you asked me that question a few years ago I would have said yes but only hoped it was true. And that was probably because I didn't know how to make those kinds of changes. 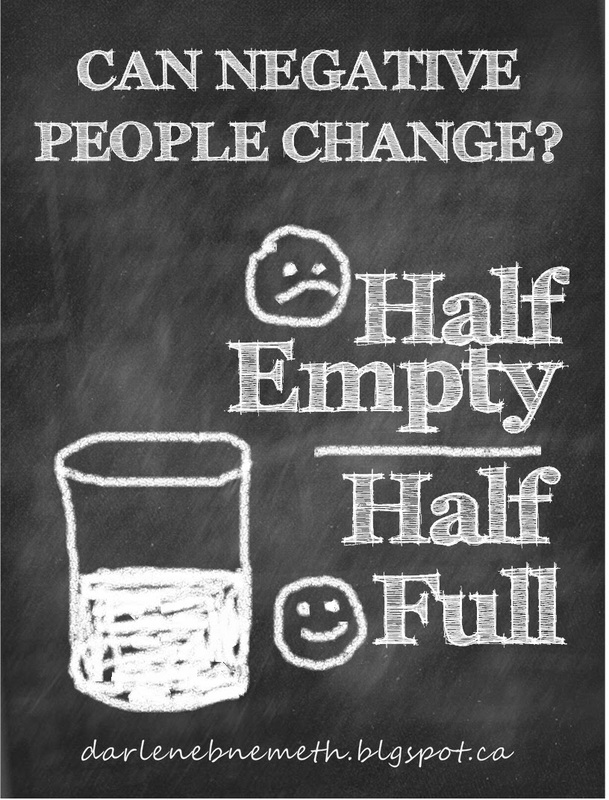 Now I not only know how a negative person can change to an optimistic one, I also know why? Do you? Sure optimistic people are more fun to be around but what other reasons are there? Lucky for us, more research is conducted all the time and those brainiacs have the answers. Are you ready for the answer? Here it is. Being optimistic will make you happy. It's that simple and isn't that what everyone wants out of life. To be happy. Don't believe me? Go ask some random people. I'll bet they will all say that they want to be happy. Sure they want a million dollars, a new car, a fantastic home but it turns out that they want these things because they think it will make them happy. But wait there's more. Optimistic people aren't just happier there are two more benefits. They are also healthier and wealthier. I'm not saying that optimistic people don't have problems. They do. They just look at it differently than a pessimist. You know that whole glass half full half empty thing. You might come back to me and say, hey Darlene, that's just the way I am. I can't change that. I'd have to say to you that you can change that. And I'll tell you how. You choose how you think. You can control your thoughts. Don't just let your brain run on auto pilot otherwise it will always respond in the same old way. With negativity. I know, I know, I know, your thinking how can I stop thoughts from popping in my head. The answer is at first you can't but eventually with practice an persistence you will notice a change in how you think. I know this is true because it has worked for me. I wouldn't say at one hundred percent optimistic but there is a marked improvement. If you want to read more about making the change to optimism you might want to check this post out HERE. In the beginning you have to stop and consciously beware that a negative thought has just entered your mind. Then you can stop yourself before the thought is complete and switch it up with an optimistic thought. The next step is stopping the thought before it enters your brain and you think of something positive. Eventually the negative thoughts are few and far between and you suddenly wake up one day and say HEY! I haven't had a negative thought in a long time. Am I an optimist now. Well you're definitely on your way. If you continually practice optimistic thinking, you’ll reprogram your brain to automatically respond in a positive manner. But remember. It takes time. It takes patience. It's like quitting a bad habit. It takes work. But it is worth it. You are worth it. We're all a work in progress. Let's banish all those negative thoughts starting right now and be HAPPY! Thank you Stacey. To see the other featured posts please click HERE. :) I'm a pessimist often, but as i get older, i become more optimistic. Life is too short. I think a lot of people don't change because they don't know what they want, just not what they have. It's only when you find peace with what you have that positivity comes in. Life is too short to waste time being negative. We need to spend it in an optimistic way so we can enjoy life and be happy for as long as we can. I love this post Darlene. I tend to be optimistic, but there have been days that I'm not. You are right though if you think things are going to be ok, then the day seems better. Thanks so much for sharing with Adorned From Above's Link Party. I think I am optimistic by nature but have been with so much negativity for so long that I forgot how to bee happy. I am on my way back. I agree with April's last comment. My mom was a very pessimistic person and I saw how it effected her health in a negative way. Me? I'm a realist, but most of the time I am optimistic. I see the glass as always half full, it's never half empty. In order to changes ones thought process you have to want to, and it looks like you do. 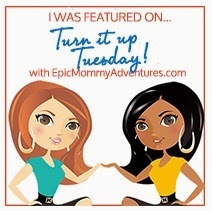 Great post thanks for sharing on Tuesdays With a Twist. I see negative people and wonder why. Why are you doing that to yourself. Cheer up!